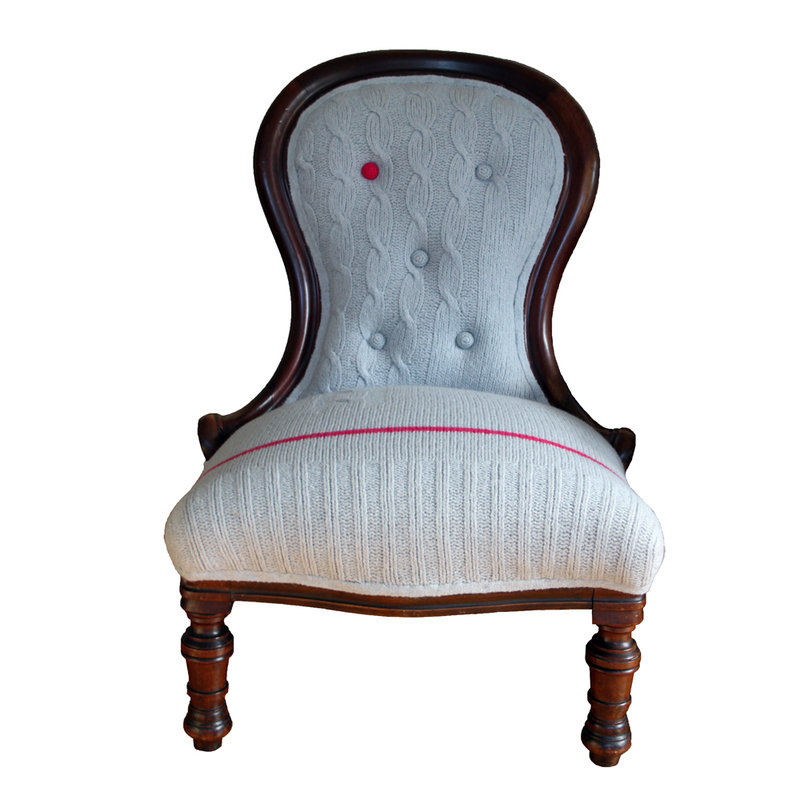 Our client found a handsome pair of chairs at auction and requested that we make a mis-matching pair. 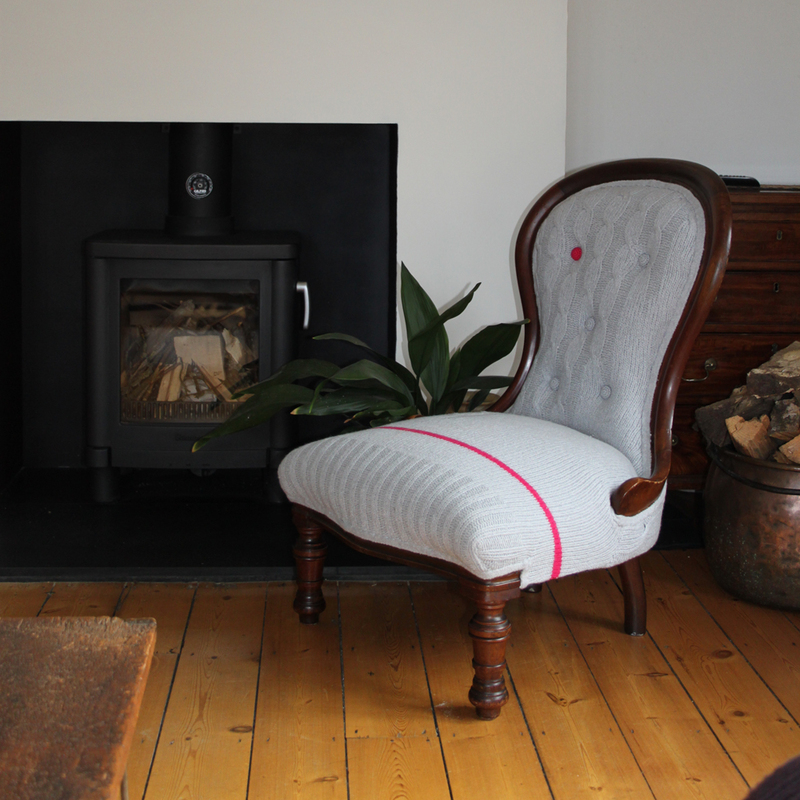 Picking colours from our colour card we chose a soft grey with a bold hot pink for contrasting details. Cables run from the seat up the back of the chair with a contrast stripe and crocheted button give a contemporary feel. See Rhett for the partner chair.